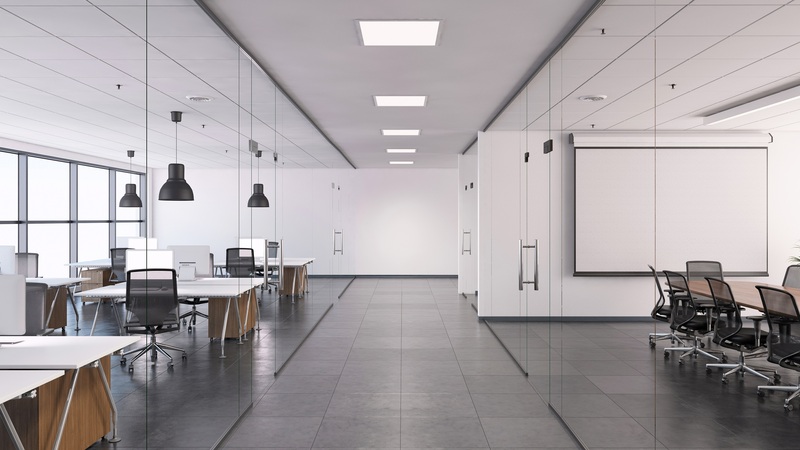 If you are hiring a cleaning service to help you maintain or spruce up your office, you may want to consider hiring an eco-friendly company that specializes in office cleaning. Green cleaning companies minimize any negative impact their services have on the environment, and they help keep your space safer and healthier, while still helping to make sure it looks and smells clean. Here are some reasons why finding the right green commercial cleaning company is worth the time and effort. Lots of commercial cleaning products contain volatile organic compounds (VOCs), which cause many health problems like headaches, respiratory discomfort, and more. A green company will not use any products with VOCs, so you can be sure that the materials used to clean your space will not make you feel sick or uncomfortable. A cleaning company can potentially generate a lot of waste, since they use materials and products to complete their jobs. If you choose a green cleaning service, however, you can ensure that the company will work their hardest to eliminate the amount of waste created by a cleaning job. This means they use reusable items, like rags, instead of paper towels, and they also take advantage of items that are recyclable. The government has regulations about what products can be used for cleaning jobs. When you hire a green commercial cleaning company, you won't have to worry about the ingredients in their cleaning products. You can rest assured that everything they're using to clean meets the proper government regulations. Green cleaning companies often use HEPA Vacuums which don't only get rid of dust and dirt, they can also make the air cleaner and healthier to breathe. HEPA vacuums remove pollen, dust, mold, bacteria, and more, so you be sure that you're spending time in a healthy and safe space. Not only do green cleaning services think about being green while they clean, they also focus on eco-friendliness in all parts of the process. Green cleaning companies do billing, invoicing, marketing, and more digitally so they don't waste paper or overtax the environment. This is not only good for the planet, but it's also convenient for businesses who don't want to add to their surely already very large stack of papers. Green cleaning companies often use eco-friendly, concentrated cleaning chemicals. These chemicals require less packaging and less transportation to get to where they need to go, so you can ensure that the company is not overusing natural resources or hurting the earth. Hiring a green business cleaning company might not be as easy as hiring any random cleaning company available. However, if you take the time to find one who is environmentally conscious, you can help keep the Earth safe while also prioritizing your health and wellness. One great option of cleaning company is Stratus Building Solutions—an expert in cleaning commercial buildings with green products and techniques. If you seek out a company like Stratus, you can help promote eco-friendly practices and enjoy an office that is sparkly clean. Visit our homepage to learn more or receive a free quote for our services.